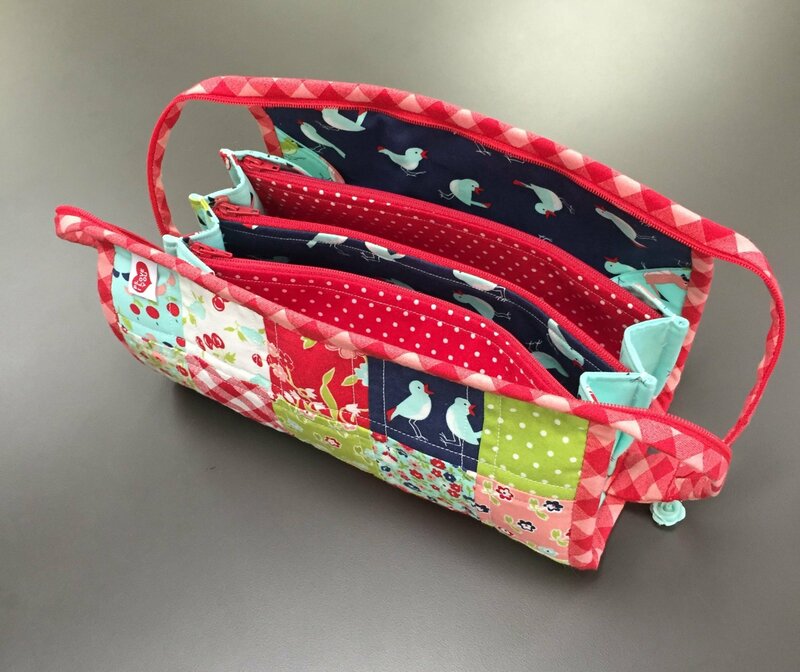 This little bag is "sew" handy for all your sewing tools. It can hold thread, needles, clips, pins, and everything else you'll need for classes. It has three separate zipper compartments and four open divided spaces so you can keep all your stuff organized. Learn how to assemble this type of wallet and bind it. You can get really creative on this project and use up some of your fabric stash.